Evergreen Creations creates and distributes "edutainment" content that is featured at family-friendly agritourism farms, farmers' markets, and garden centers worldwide in field trip programs, retail markets, and on-farm fun. 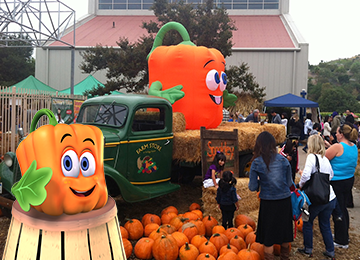 Activities, merchandise, and marketing content based on the beloved children's character, Spookley the Square Pumpkin, and his friends from Holiday Hill Farm. 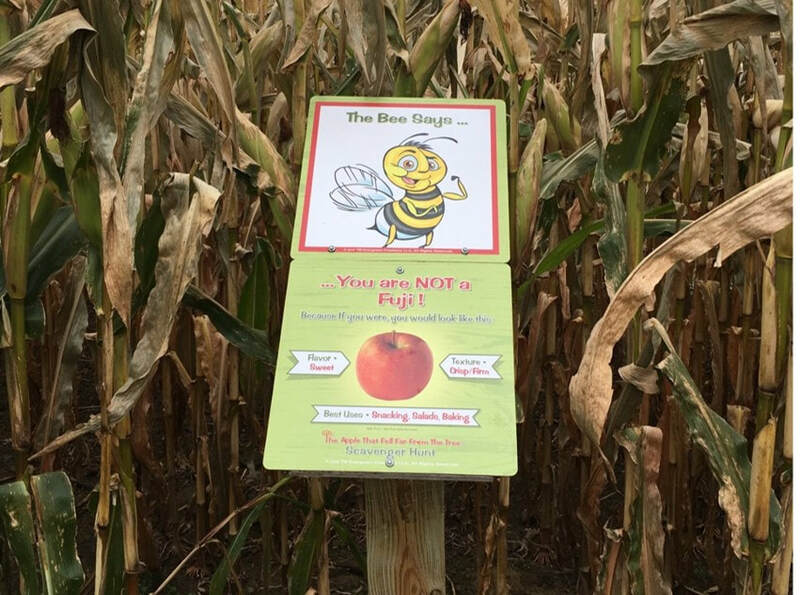 Classic stories and songs with a farm-friendly twist, produced on weatherproof signage for outdoor learning and fun! Stories in series also available in book format for retail markets. Activity packets filled with coloring pages, recipes, word searches, and other farm-friendly fun. Great for sharing with students on field trips to the farm! Family-friendly scavenger hunt kits that include weatherproof signage, marketing materials, and game play cards. Designed to introduce visitors to different types of produce. more family farms operate and thrive for generations to come. more children connect with their local food sources and develop an appreciation for agriculture that stays with them forever. more families experience meaningful and memorable farm-based traditions. Please explore our website to learn more and contact us at anytime.